Patrons can enjoy a quick sit-down, take-out, or delivery meal with a visit to Vito’s Pizza. This family-friendly (and surfer-friendly) destination in the heart of Wrightsville Beach features a variety of crowd-pleasing toppings that can cater to any pizza taste or preference. 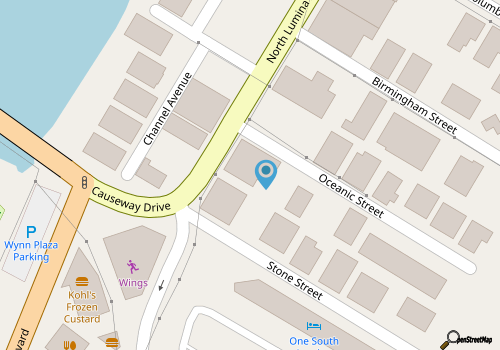 Vito’s Pizza is located just a block or so away from the Wrightsville Beach Causeway in the heart of Wrightsville Beach’s shopping and dining scene. Sandwiched in between a couple surf shops and local businesses, the bright blue exterior and adjacent mini patio with palm trees and picnic tables stand out in the crowd, and provide an inviting little spot to duck in and feast on a slice or two. Both full pizza pies and slices are available for an easy snack, lunch, or dinner, and pizza fans will find more than a dozen toppings to choose from. Patrons can pile a pizza high with hamburger, bacon, ham, sausage, ricotta cheese, feta cheese, pepperoni, and a wealth of veggies including mushrooms, jalapenos, olives, peppers, and even pineapple. There’s also a small selection of salads for lighter appetites, as well as beer and wine for a quick drink and a little people watching on the adjacent patio. Centrally located, Vito’s is an easy and fast destination for feeding a pizza craving.